From a national park to a national monument – we rode from Yellowstone back into Montana and the site of Custer’s last stand at Little Bighorn. 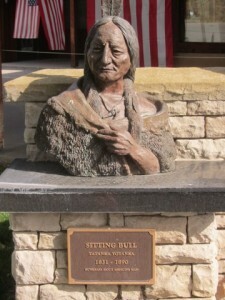 The massacre of the 7th cavalry by the Indians led by Sitting Bull is one of those stories that permeate National borders. 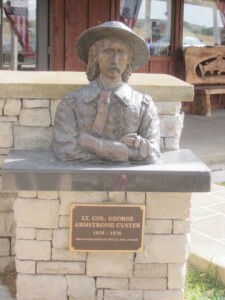 General Custer was a hero of the Civil War and was chosen to lead troops against the Northern Plains Indians and force them on to the reservations and make way for the diggers seeking gold in the Black Hills. His plans went awry and the Indians won the battle losing only 100 warriors while every man in the companies led by Custer died, along with more than 50 from other companies. The battlefield is spread over several kilometres. We ride around and get a real feel for the battle. 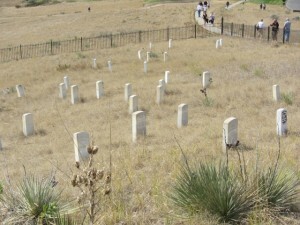 The hillsides are littered with white crosses marking where the soldiers fell. 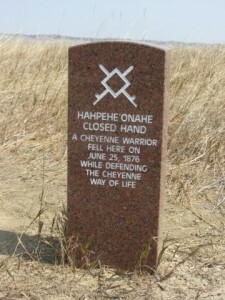 A few markers have been placed to show where Indian warriors died – two sides to the one story. 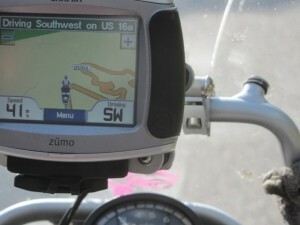 From here we rode back through Wyoming and in to South Dakota – home of the Black Hills and the Badlands. This is motorcycle country – amazing twisty roads with pigtail bridges, narrow passes through the rockface and one road that boasts more than 300 curves. 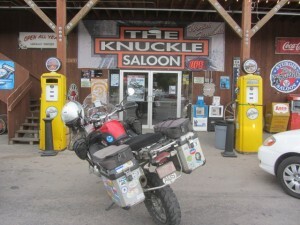 We based ourselves in Sturgis, the home of the Sturgis Rally, a motorcycle museum that kept Brian occupied for hours, and the Knuckle Saoon that sold the cheapest drinks around. 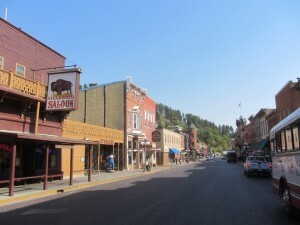 One day we road through Deadwood and into the Black Hills. 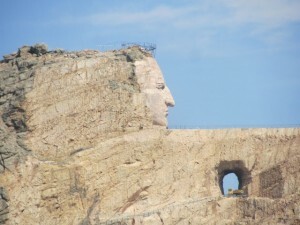 First stop – the Crazy Horse monument. 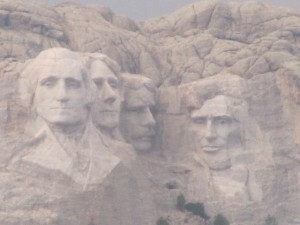 It’s not finished yet but when it is it will dwarf Mt Rushmore. 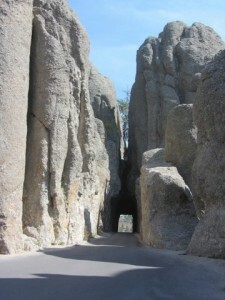 Riding into Custer National Park we took the Needles Highway south. This road gives new meaning to single lane roads. It was awesome. 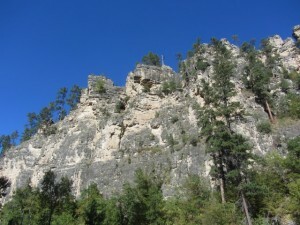 From here we took the Iron Mountain road north past Mt Rushmore. 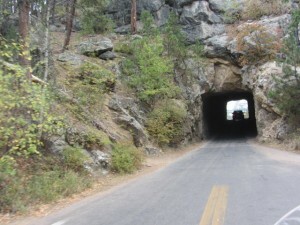 The road runs for 17 miles with 314 curves, 14 switchbacks, 3 pigtails, 3 tunnels, 4 presidents and two splits. What a road! 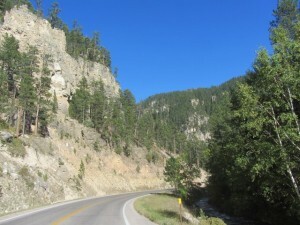 Another day ride took us through Spearfish Canyon – another special piece of road. 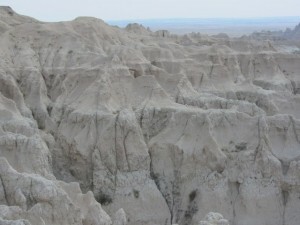 A few hours from Sturgis is the Badlands National Park. 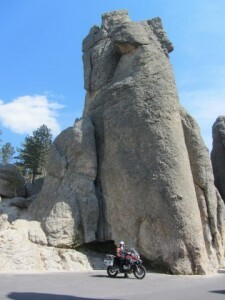 This harsh area in South Dakota has the most impressive rock formations. 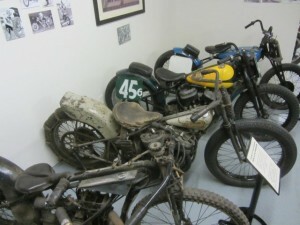 It is blisteringly hot here in summer but it wasn’t too bad when we rode through. 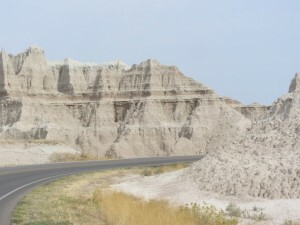 The National Park has a very good road that winds its way through the gullies and past the prairies. What a place! 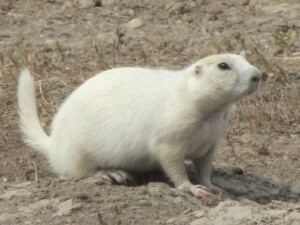 Just outside the park we were lucky to spot the very rare white prairie dog – a beauty! It’s near the eastern entrance to the Badlands that we found a piece of history that, while it is a national park, doesn’t get much publicity – the Minuteman Missile. During the Cuban Missile Crisis and the Cold War America had hundreds of intercontinental ballistic missiles trained on their enemies and ready to fire! There is no signage on the highway to lead you to the one remaining missile silo but a map from the discreet visitors’ centre leads you there. 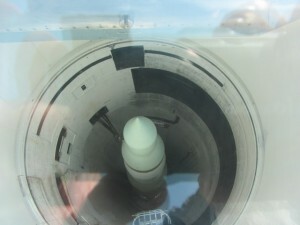 It is eerie to look down in to the 80 feet deep silo and see the missile, poised to go! These missiles have been decommissioned but there are still around 500 nuclear missiles in similar establishments further north and south – ready to go! 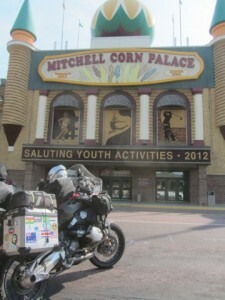 Continuing the ride east we stopped at Mitchell to see the Corn Palace – a very ‘corny’ tourist attraction – a building where every work of ‘art’ is made from corn. 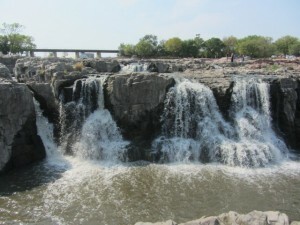 Our last destination was the peaceful Sioux Falls in the centre of Sioux City. 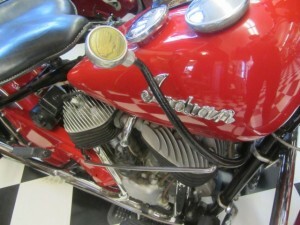 Next stop Milwaukee – the home of Harley. 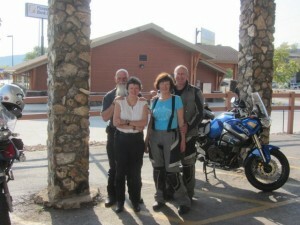 It was good to meet fellow Aussies Ross & Julie in Sturgis - they are on their way to South America - good luck!